This sprawling 5 bedroom, 3000 sft apartment has been designed with luxury and grandeur as the main element seen conspicuously through each of the spaces. 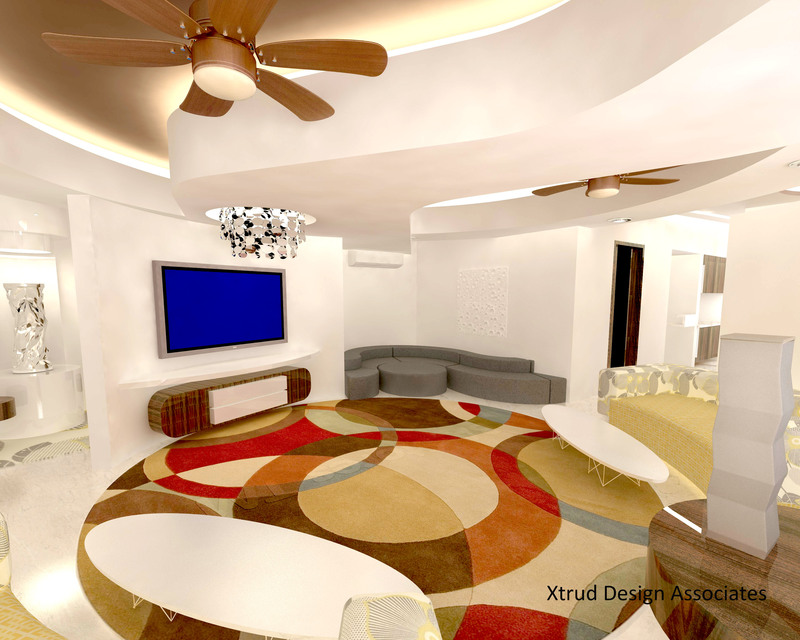 The living room has been designed and planned to host large family gatherings with elegance speaking thru the curvilinear forms and high end finishes across the space. This design form runs thru the apartment smartly integrating into each of the rooms, with their individual designs amalgamating with them efficiently. Previous Previous post: Smart and trendy compact apartment,Parel. Next Next post: Minimalist and contemporary 2 bed residence,Bhandup. Smart and trendy conversion of an 1bhk to 2bhk in Parel.